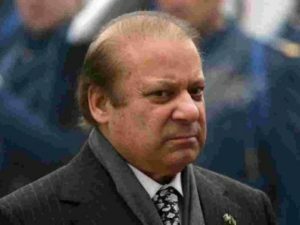 The Supreme Court of Pakistan on Friday disqualified former Prime Minister Nawaz Sharif from holding office for lifetime under the section 62 of the constitution of Pakistan for his asset issue. The ex-prime minister will not be able to contest election for the rest of his life, according to the ruling announced by the court. NAN reports that in October 2017, Mr Shariff was indicted over allegations of corruption, the latest setback for the deposed leader who remains one of the most popular politicians in Pakistan. Mr Sharif, 67, was ousted from power in July 2017 by the country’s Supreme Court after months of hearings on the corruption charges. He and his family stand accused of using offshore holding companies to buy luxury properties in London, charges stemming from the Panama Papers leaks in 2016. Mr Sharif, who was not in court, sent a plea of not guilty. His daughter Maryam and her husband, Muhammad Safdar, were also named in the indictment by the anti-corruption court. “You tell me if this is justice or murder of justice,” Mr Sharif told reporters in London, where he is staying with his wife while she undergoes treatment for cancer. “I think that if our justice system continues like this then we will get nothing but embarrassment,” he was quoted as saying by the Geo News channel in Pakistan. Mr Sharif’s supporters claim he is the target of high-level conspiracies that include the country’s powerful military.